A wide variety of geologic-hazard-related information is available on our website for use in hazard mitigation and other projects, and should be considered when planning new development or infrastructure. This information includes guidelines for conducting geologic-hazard investigations; geologic-hazard maps showing the mapped location and relative magnitude of various hazards; geologic maps showing bedrock and Quaternary (soil) geology; various reports describing specific hazards, investigations, and/or emergency events; scanned aerial photographs that may visually show various hazards and can be used to document the location and past timing of specific hazard events, such as landslides and rockfall; and scanned unpublished files, reports, and photographs collected by the UGS documenting various geologic hazards and specific locations. Often, the long-term economic impact of geologic hazards to local governments, landowners, and the public is not adequately addressed in development and infrastructure planning; geologic information provided by the UGS can help address this issue and reduce the uncertainty associated with and lack of awareness of geologic hazards. Steve Bowman has 17 years of experience as a geological engineer/engineering geologist, nine of which were on projects throughout the western United States for geotechnical consulting firms. 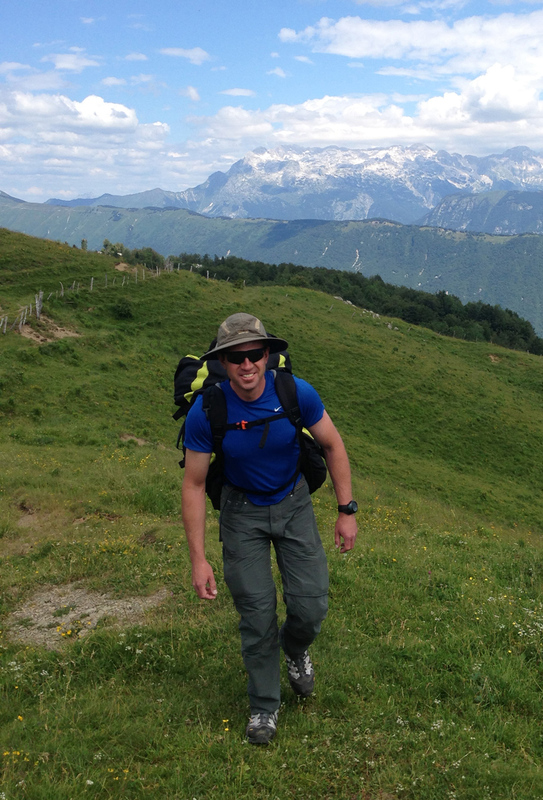 He is presently the Geologic Hazards Program Manager with the UGS. Steve is a Licensed Professional Geologist and Engineer in Utah, a Professional Geological Engineer in Nevada, and certified as a LEED Accredited Professional. In addition to the geologic-hazard mapping project described in this article, other recent projects include the co-chairing the Basin and Range Province Seismic Hazards Summit III and the Utah Earthquake Working Groups, geologic data preservation, landslide inventory mapping, and historical aerial photography compilations. Is the site likely safe for first responders and others to enter and work? What geologic information is needed to reduce the risk? Is geologic monitoring needed to increase safety? Is another event likely to occur within a short time frame? Are other nearby areas at risk from geologic hazards? The UGS Geologic Hazards Program has experienced engineering geologists who are available to provide assistance at any time to local governments and the UDEM when a geologic emergency occurs. For particularly significant emergency events, responses are managed from the UGS Emergency Operations Center (EOC) at the Utah Department of Natural Resources Building in Salt Lake City, in conjunction with the state UDEM EOC at the Utah State Capitol, the State Hazards Mitigation Team, various local governments, and other agencies. Where or when mobile phone communication is unavailable, the UGS can use radio communication between the various EOCs and field staff throughout the central Wasatch Front. Since 1850, at least 36 fatalities from geologic hazards have been documented in Utah, and a significantly higher but undetermined number of injuries, along with billions of dollars of economic losses, have occurred. In addition to numerous small geologic-hazard events, several notable events have prompted emergency response activities by the UGS in the past several years. These include the August 2014 Parkway Drive landslide in North Salt Lake, the December 2013 rockfall in Rockville, and the 2012 Seeley Fire debris flows on the Wasatch Plateau. 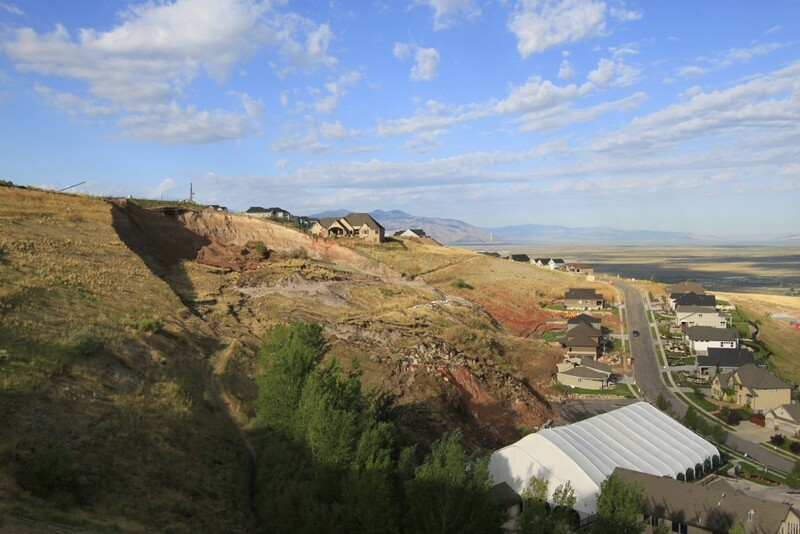 On the morning of August 5, 2014, a large landslide occurred above Parkway Drive in North Salt Lake. The Parkway Drive landslide (estimated at 300,000 to 400,000 cubic yards) severely damaged a house and a tennis and swim club, and threatens other houses and a nearby natural gas pipeline. The landslide involved an engineered slope that had been part of a gravel pit in the 1990s, but has since been reclaimed and partially developed into the Eaglepoint subdivision. The slope is underlain by Lake Bonneville sands and gravels and Tertiary-age (44 to 49 million years ago) tuffaceous sediments (volcanic deposits that commonly weather to clay). UGS personnel had documented small, shallow landslides at the base of this slope in the mid-2000s. 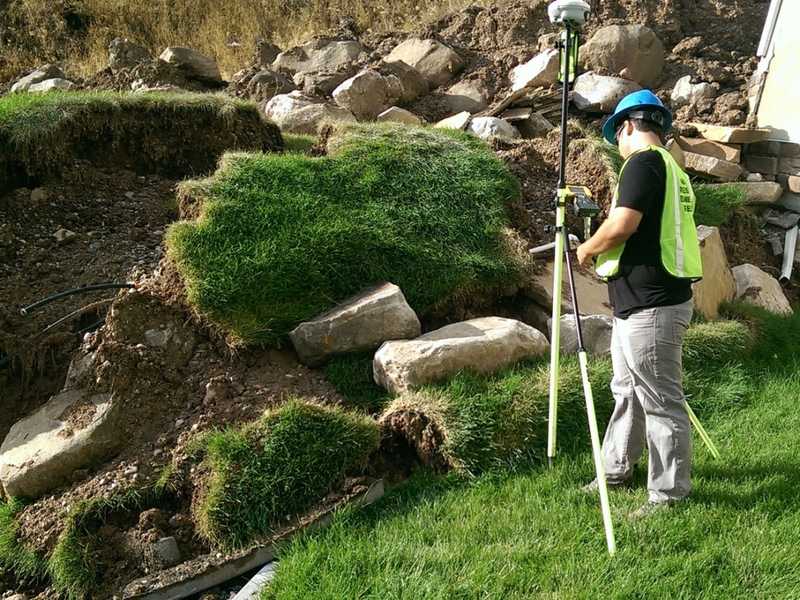 As part of the emergency Parkway Drive landslide emergency response, the UGS quickly started mapping the landslide boundaries and documenting landslide movement and features using precision GPS equipment and photographs the day of the main movement event, and provided that information to North Salt Lake and UDEM. The UGS continues to routinely monitor the landslide and assist local homeowners and others with questions about the landslide. 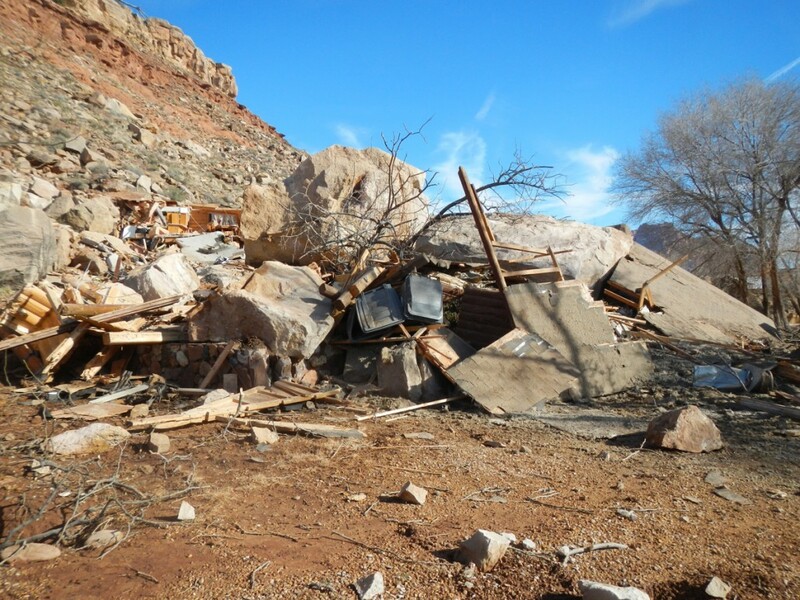 On December 12, 2013, a large rock mass detached from a cliff above the town of Rockville and then rolled and bounced downslope and impacted a house, killing the two occupants inside. This rockfall occurred in an area where the UGS had mapped a high rockfall hazard the previous year. The cliff from which the rockfall initiated is approximately 375 feet above the house, and the boulders traveled approximately 750 feet before destroying the house. The two largest boulders to reach the site weighed an estimated 490 and 520 tons, respectively, and several other boulders were estimated to weigh well in excess of 20 tons. The rockfall occurred just before dark, and geologists from the UGS Southern Utah Regional Office in Cedar City responded at first light the next morning. The geologists performed a reconnaissance of the rockfall source area to determine the relative safety for emergency responders in the damaged area below, including the demolished house and garage, and provided information to the Springdale Chief of Police, who managed the emergency as the Incident Commander. 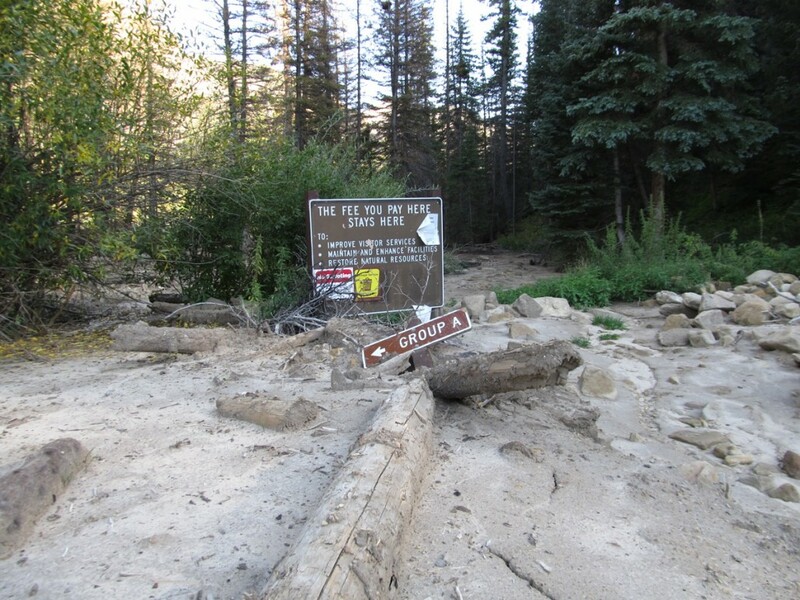 In June and July 2012, the Seeley Fire burned 75 square miles in central Utah, and rainfall triggered fire-related debris flows during and immediately after the fire. The UGS was already mapping landslides in an adjacent area of the Manti–La Sal National Forest as part of a long-term mapping project, and was familiar with the landslide and debris-flow potential of the area. The UGS and U.S. Forest Service (USFS) quickly modified an existing agreement so that landslide and debris-flow reconnaissance and mapping could be funded for the burned area (see article by Richard Giraud and Greg McDonald in the September 2013 issue of Survey Notes, v. 45, no. 3, p. 1). Mapping of the fire area provided valuable information to the USFS so that informed decisions could be made about public access, including road, campground, and picnic area closures, as many of these areas and facilities were directly impacted or were in the path of possible future debris flows. The USFS faced significant pressure by the public and others to keep forest facilities open, and the mapping information was critical to effectively determine which facilities faced high enough risk to justify temporary or permanent closure. Several campgrounds that the USFS closed were later impacted by fire-related debris flows, so potentially many injuries and even loss of life may have been prevented as a result of UGS recommendations. Additionally, the provided information was used in the planning process for constructing debris basins to contain future debris flows, for the siting of temporary weather stations used for storm debris-flow potential warnings by the National Weather Service, and for reducing the risk to other infrastructure in the area, including the PacifiCorp Huntington power plant. After the initial emergency response, local governments are often left with uncertainty regarding what to do about the emergency event over time, how to minimize the impact to residents and others, how to reduce the risk of future events, and whether other areas are at risk and what can be done to reduce the risk. The UGS provides geologic advice to local governments and the public after an event to help them make informed decisions on the potential for additional, future events; possible mitigation measures to reduce risk (what to consider in the project, known problematic geologic conditions, what qualifications are needed by professional consultants, etc. ); and on restricting public access to specific areas, if warranted, to protect public safety. 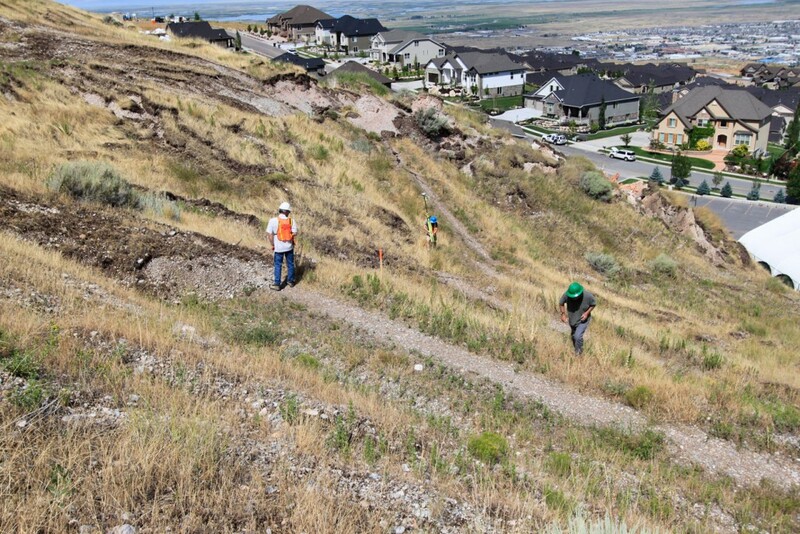 As no Utah local governments have engineering geologists experienced with geologic hazards on staff (a few local governments have a private consulting geologist on contract), the services provided by the UGS are critical during and after geologic-hazard events. As a non-regulatory scientific agency, the UGS provides unbiased, objective geologic information to local governments and the public, so informed decisions can be made to protect the public and others from geologic hazards, including life safety, injury, and economic impacts.